Luc Deneys is a Luthier who only makes unique instruments. He does not make any series but continuously experiments with form and sound so that each newly created instrument is an individual piece of art to be added to his total oeuvre, which by now consists of 200 instruments. Luc was born on april 2, 1953 in the university town of Leuven, Belgium. 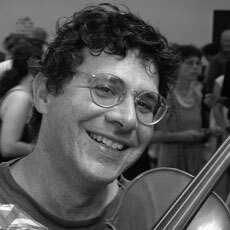 During his studies, he combined fine arts and music education and in his whole career, modern plastic arts and the craftsmanship of the instrument maker are continuously intertwined. He learned his craft in the workshop of Gio Batta Morassi in Cremona, Italy, later perfecting his skills in the workshop of Kirchneck und Seifert in Bubenreuth, Germany. In 1999 he bought the Château du Faubourg de Saint-Vincent, the previous house Lamy dating from 1860, in Mirecourt, the French centre of violin manufacture. Since 1986, the permanent workshop of Luc Deneys is situated in Ghent, the capital of the Flemish province "Oost- Vlaanderen", in ahistorical location. Indeed, the place dates from 1874 and is the oldest music shop in Belgium. Active in both Ghent and Mirecourt, Luc Deneys is not only a respected luthier but also an experimental plastic artist, creating mixed-media compositions.His collaboration with Joseph Beuys in Hamburg and Christo Vladimirov Javacheff in Paris during the 70's had a lasting influence on the artist.But the crowning glory for Luc was the formation in 2008 of The Deneys Quartet, which ever since promotes his instruments worldwide. 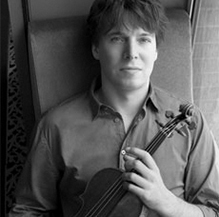 Joshua Bell - "Congratulations, the violins all have a very large soundprojection. A balanced sound." Bell made his Carnegie Hall debut in 1985, at age 17, with the St. Louis Symphony Orchestra. He has since performed with many of the world's major orchestras and conductors. As well as the standard concerto repertoire, Bell has performed new works. Nicholas Maw's violin concerto is dedicated to Bell, who premiered it in 1993 and won a Grammy Award for his recording of the piece. He performed the solo part on John Corigliano's Oscar-winning soundtrack for the film The Red Violin and was also featured in Ladies in Lavender. Bell made an appearance in the movie Music of the Heart, a story about the power of music, with other notable violinists. 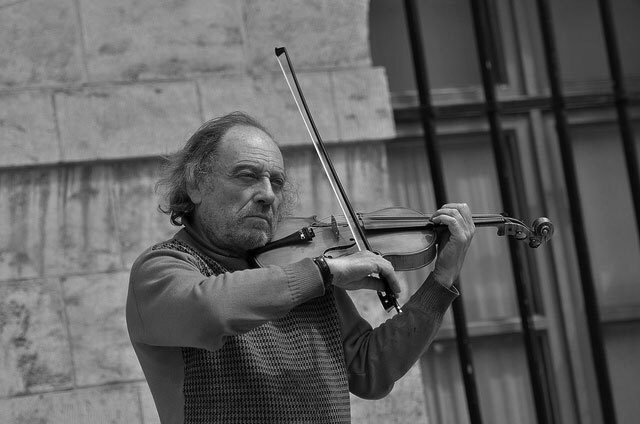 Henri Raudales - "I regularly use his violin during my concerts. She has a spacious and warm sound." He won several important last prizes and made solo appearances in the musical capitals of Europe, Asia and America. In 1992 a tour in conjunction with Nigel Kennedy took him to Belgium, France and Great Britain. His repertoire comprises over thirty-five large-scale solo concertos from the orchestral literature, from Bach to Korngold. Henry Raudales, who has participated in a number of recordings featuring solo, chamber and orchestral music, served from 1989 until 1993 as first concert master of the Orchestra of the Vlaamse Opera in Antwerp/Ghent. Following this he held the same position with the Essen Philharmonic. Als violist heeft hij een grote carrière gemaakt, maakte hij vele tournees en was hij laureaat en prijswinnaar van verschillende internationale concoursen. In 1976 won hij de eerste prijs tijdens de Koningin Elisabethwedstrijd voor viool, Grand Prix D’Elisabeth, te Brussel. Deze zeer prestigieuze toekenning markeerde wel het tijdperk waarin hij vrij was te reizen buiten de USSR. Hoewel hij binnen de USSR vele concertreizen en opnames maakte werd het hem vanaf 1978 voor lange tijd belet in en uit het westen te reizen. Na de val van de Berlijnse Muur in 1990 heeft hij zich definitief in België gevestigd. Naast de vele opnames die hij onder meer heeft gemaakt voor Melodya en Deutsche Grammophon, heeft Michail Bezverchni ook zijn sporen verdiend als dirigent, acteur en als componist van onder andere filmmuziek. Zijn Suite Gambrinus won de eerste prijs van de muziek tijdens het internationale filmfestival van Valence (Frankrijk) in 1992. Jenny Spanoghe - "He built the 5-String viola for me. It is a famous instrument." Jenny Spanoghe is a Belgian soloist, acclaimed for her virtuosity, ‘strong-as-iron’ technique, her energetic interpretations on violin and viola. Her most important musical mission is to defend contemporary music, especially Belgian works. Jenny created more than 200 solo and chamber music compositions. A lot of composers dedicated compositions to her. Jenny is also the protagonist of a new type of instrument: a contemporary five-string viola. The new performance technique she is developing on this remarkable instrument will no doubt provide inspiration for a new style of music. With the Landini violin-organ duo (with Jan Van Landeghem) and with her Landini String Quartet (before called the Gaggini string quartet) she performs mostly new music. 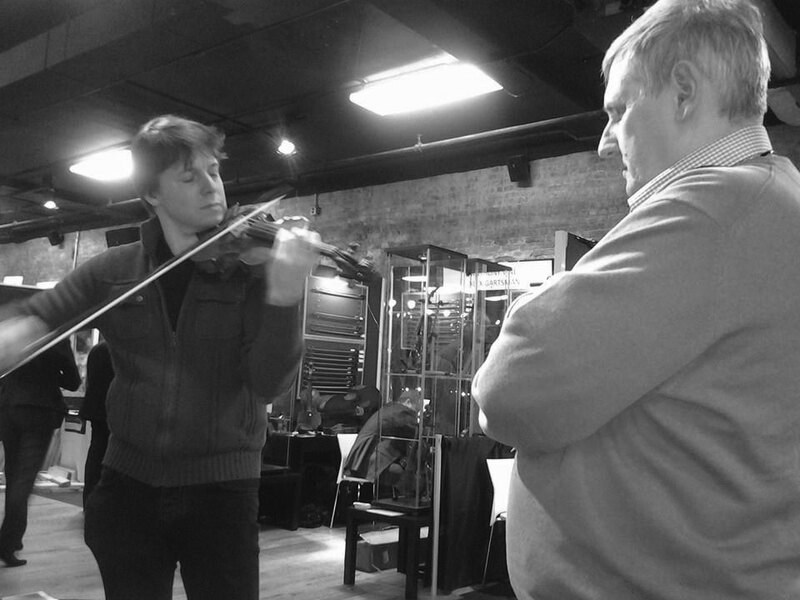 Sam Zygmuntowicz - "We are two different violinmakers. I am the craftsman and you are the artist. 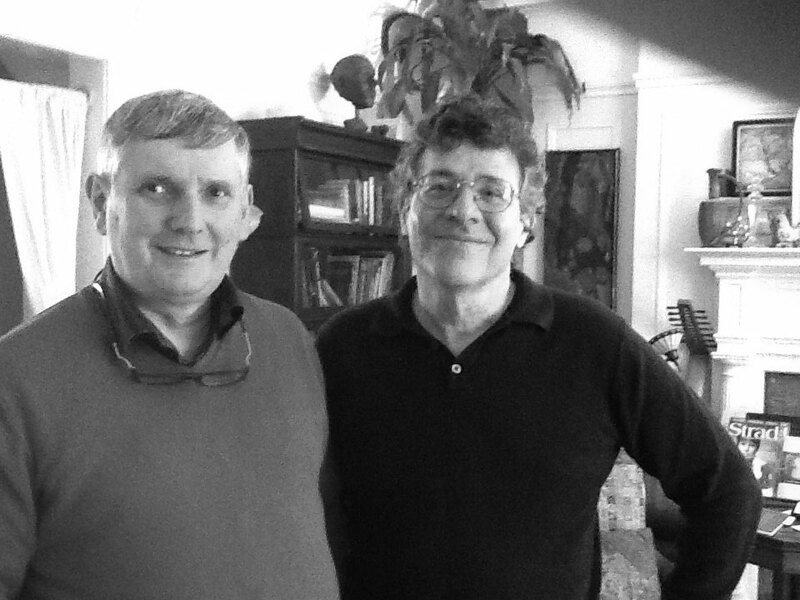 A different interpretation but ultimately both known for excellent violins." 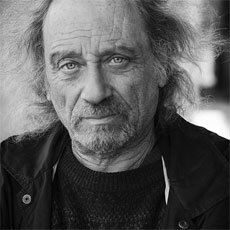 Samuel Zygmuntowicz (born 1956) is a contemporary luthier. He began his instrument making training when he was thirteen years old and studied making and restoration under Peter Prier, Carl Becker and René Morel. 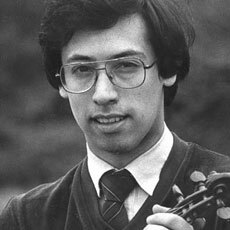 Zygmuntowicz is the creative director of the Strad3D project, which The Strad Library called "One of the most groundbreaking and comprehensive studies of the violin form ever conceived." It involved the first ever 3D laser vibration scanning of Stradivari and Guarneri violins, and included acoustic testing and CT scanning. Zygmuntowicz turned the endeavor into a broad collaborative project including traditional documentation, musical performance, dendrochronology, and documentary film. The interactive DVD, which includes images and scientific research from the collaboration, was published and is available for purchase. Zeljko Haliti - "Luc Deneys is the man where I want to work with. He is unique in adjusting soundboards." 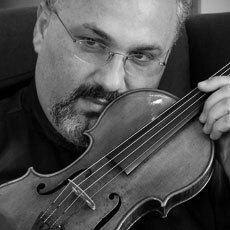 Zeljko Haliti is a Spanish violinist, born in Split (Croatia). 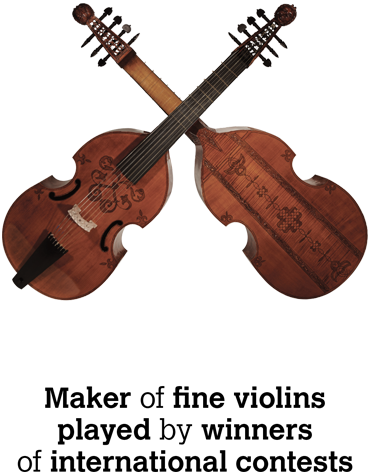 He is well known as a Luthier – Acoustician for Fine String Instruments in Europe. His analysis and investigations with his father Enver Haliti are focused on the finest setup of maximum acoustic qualities and physical responses of each string instrument. 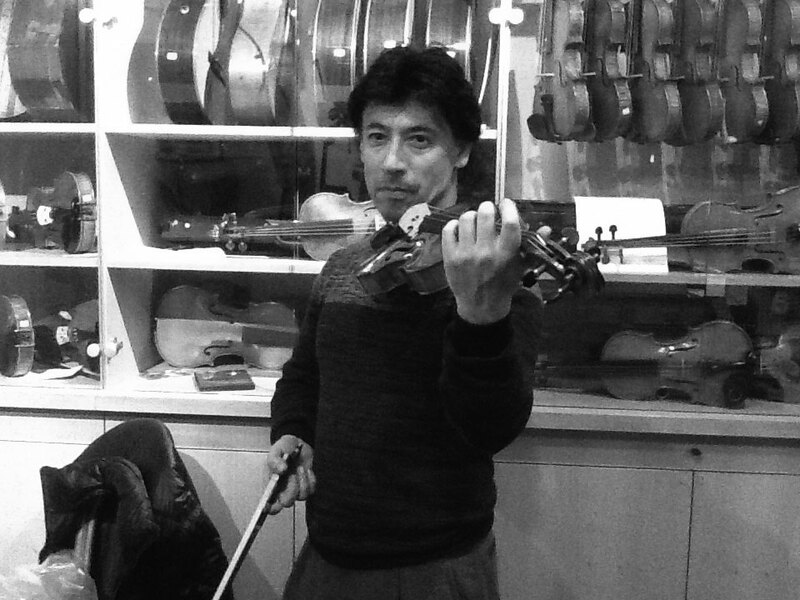 He started being a specialist of fine string instruments in his early age. His passion for the sound and natural music gifts has led Zeljko Haliti through the large list of old violin makers and world famous soloist and orchestras.